Best eco-resorts in Australia for working and how to get a job! People all over the world are becoming more conscious about the conservation of nature and it’s natural resources when they travel. However, it is just as important when considering where you work. Australia brings in heaps of visitors year-round to its particularly fragile environment; fortunately, it is also home to some to some of the best eco-resorts in the world – work or play. For the socially conscious traveller and backpacker, it can be especially gratifying to know that you are helping to maintain the natural environment and enjoy your travels without compromising nature. Many travellers plan their trips well ahead of time, and just by doing this simple task with eco-tourism in mind; you can help save the environment by minimising your carbon footprint. Applying directly may be the best way to find a job if you are focused on finding work that is eco-friendly. Off course there are many different types of jobs but many jobs will require that you serve alcohol. Before you apply in Australia you need to know which state you want to work and complete an RSA course – Responsible Service of Alcohol course. All states in Australia require that you do an RSA to serve alcohol (including waiters), the challenge is that apparently you require an RSA certificate that is suitable for the state where you want to work. Some also allow you do the training online – others not. For training in QLD, WA, SA, NT, TAS and ACT you can do it all through an online training portal. I found this website for my RSA Online in QLD. Due the smaller populations and abundant nature still left in Queensland as well and Northern Territory, Western Australia, South Australia, and Tasmania are going to likely be your best bets for finding work. The great thing about work in these states is that they share a common course that means you can work in any off these states with a relatively cheap course. Victoria is odd man out – where you have too attend classroom training. Other jobs may include construction, maintenance, chefs (high demand), drivers and other manual labour type jobs. By far the best paying, most plentiful and most fun in my opinion are service type jobs. In Australia, they want visitors to know that we have their best interests in mind with promoting eco-travel. Not only will this way of travelling have a positive impact on the environment, but it also helps create jobs in the local economy – and the financial benefit can have a positive effect for visitors traveling throughout the region. The goal is to provide vivid memories as well as a beautiful experience while traveling. Our mission to be eco-conscious will afford the opportunity to continue to offer this wonderful experience to visitors for generations to come. While traveling in Australia, you will eventually need a place to rest your eyes. Australia has several beautiful eco-resorts to choose from during your visit. 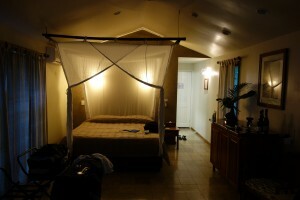 They come with all of the accommodations of a non-eco resort, with a lot better experience. There are luxury eco-lodges for those that want to travel in class and have only the best amenities. We also have romantic getaways for those that want to enjoy some quality time with that special someone, while at the same time preserving the beauty of nature. For those that are on a budget, there are still plenty of great options that are environmentally friendly. Some of Australia’s most beautiful getaways are nestled right in the heart of the wilderness. These getaways are for the more adventurous, outdoorsy type. If you want to be surrounded by the beautiful scenery of nature and love walking along the beach this may be the retreat for you. Having said that, there are also luxury tents on these safaris with a view out over the beautiful river and delicious food included if you feel like splurging. As you can see eco-traveling is a fantastic way to enjoy your travels regardless of your budget. We all want to travel and enjoy beautiful countries like Australia, but we have to keep in mind that we have to preserve this beautiful destination at all costs by eco-friendly traveling to ensure that future generations will be able to enjoy the world as we see it!